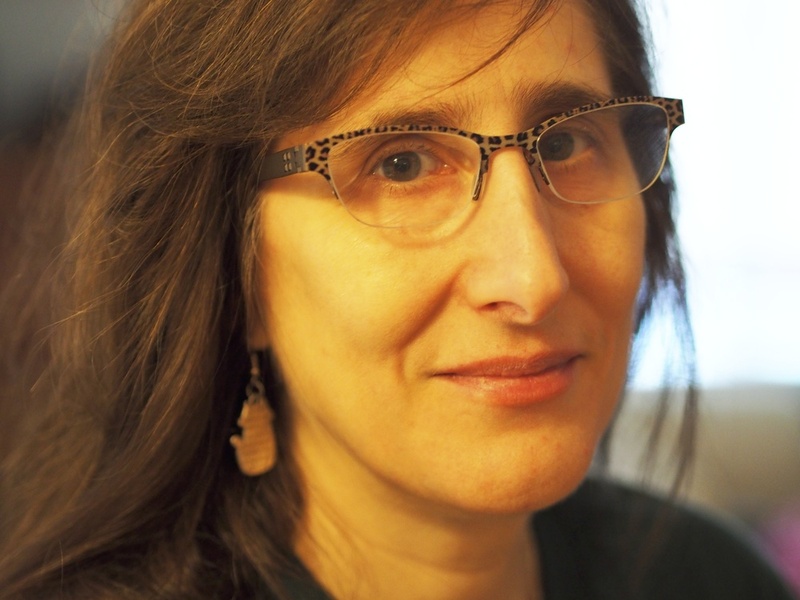 TMR recently spoke with Jane Rosenberg LaForge via email about her new poetry collection, Daphne and Her Discontents (Ravenna Press), and her upcoming novel, The Hawkman: A Fairy Tale of the Great War. Find Jane on Facebook and Twitter, and visit her online at jane-rosenberg-laforge.com. M: What resonates with you about the goddess Daphne, who inspired the title of your new collection? J: Daphne was supposedly rescued by her father as Apollo chased her. That rescue came in the form of turning her into a laurel tree. This has been interpreted as a benevolent, even liberating act; Daphne can no longer be pursued by Apollo because she's no longer an object of desire. This seems like a horror story to me—she's trapped within impenetrable bark and can't make any of her feelings known. The contrast between people's views of Daphne's father as heroic, and how a bright, vital young woman might experience the world while locked within the trunk of a tree is something that resonates with me. My father and I had a very rough time of it when I was in high school because I was dating someone he really didn't like. His answer to this problem—which you can read about in an essay here—led to all sorts of complications that were much like my being cut off from the world. That my father sold Christmas trees for a living and that I grew up in a neighborhood named for the laurel tree sealed the deal on this metaphor. M: Your novel The Hawkman: A Fairy Tale of the Great War, will be published this year. Can you tell us a bit about the book and what inspired it? J: I've always been curious about World War I; my grandfather on my father's side fought for Russia in that war, and my father used to repeat the stories he was told about conditions in the trenches. My other grandfather was much younger; he was an officer during World War II, and I lived with him at one point, so I heard more details about his service. World War I was always a more remote conflict, much more of a mystery. When I got the idea for The Hawkman, I knew I wanted to set it during that time. Then in graduate school, I read the Grimm's fairy tale "The Bearskin." It stuck with me. It's a story of what happens to soldiers when they have no more wars to fight, even though it seems we won't be in that situation for quite a while. M: In your novel An Unsuitable Princess, in Daphne, and even in your Summer 2016 poems, you evoke the imagery of Hollywood. Having grown up there during the birth of the hippie movement, how would you say your childhood influenced your artistic interests? J: I live in New York and am horribly homesick. Of course I hated Los Angeles when I was growing up. I wanted to be famous or the daughter of someone famous like all the people around me supposedly were. I spent so much time thinking about my terminally outsider status that it must have warped my thinking, to say nothing of my artistic interests. Hollywood just might be our Mount Olympus, and the things that went on there are our mythology. My father was always telling me stories about actors and actresses, and screenwriters and directors, as if they were flawed gods we could all take lessons from. He was very romantic about it, and more than a little of that has rubbed off on me. I am also nostalgic for a time that likely never was, as I was always looking at it from the outside. I might have seen plenty of hippies in my childhood but I have no idea what hippies were truly about. Still, hippies are the first rebels I was ever acquainted with. Like the people my father talked up, they were also romantic figures, living by their own code and trying to change the world. I suppose if I were a kid today, I'd be obsessed with the students from Parkland, Florida and try to emulate them in every way. I find myself at a loss to describe what "romantic" means to me, or how it influences my artistic vision. But I do feel that I have a responsibility to people who came before me: relatives, historical figures, writers, archetypes, individuals you might imagine and place in a certain period. I'm trying to preserve them for future generations, for future reference. These people or figures lived or existed; they were born or created out of certain circumstances, and became associated with certain atmospherics. They were once as vital as your own family is to you now. But now they're gone; it's as if they were never here in the first place. I can't live with that for some reason, so I am doing what I can about it. M: Why are you drawn to writing about mythology? J: When I write about mythology or fairy tales, people don't say, "How can you say that?" It's already been said, it's already been proven, and I am able to borrow whatever authority these tales have and go on from there. In workshops and through submissions and editors' comments, I've gotten a lot of criticism about the voice I use, my point of view. Whatever characters I create just don't seem to have the authority to say the things I want them to say. Using myth and fairy tale is a shortcut around that problem. I suppose that I am taking the easy way out and relying on someone else's expertise and talent to accomplish what I cannot do on my own. So be it. By borrowing the legitimacy these stories have established, I am making my own stories legitimate, I suppose. People—and by people, I mean gate-keepers—like what is familiar to them. So if I told you a story about a girl who's raised by a mentally ill/manic-depressive mother, a deaf father, has a genius alcoholic-anorexic sister, and various and sundry other idiosyncratic relatives, you might say, "That's impossible." But by couching these stories in familiar devices, they are more believable, or palatable.